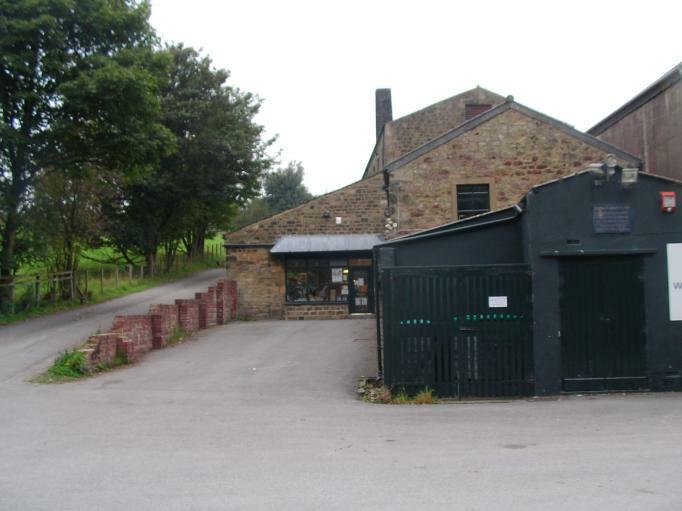 We drove to a lovely quilt shop in a semi-rural setting in Yorkshire. When we got there, I thought of a certain famous quilter I know who loves chickens. 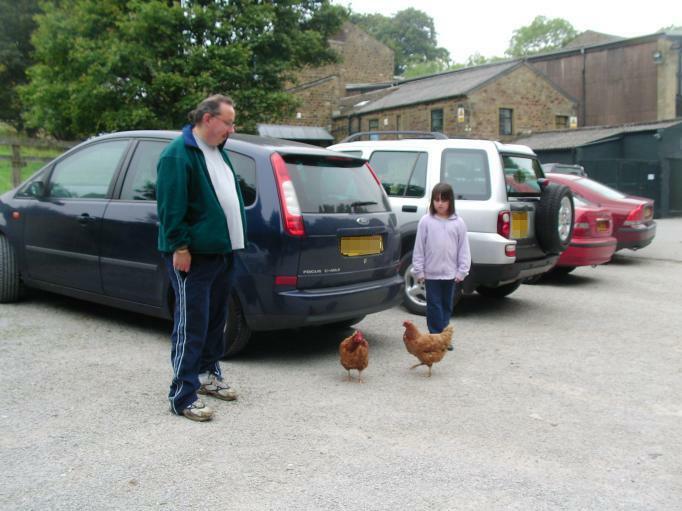 😉 If she ever comes to England, she might like to visit this shop because there were beautiful chickens all around the car park! The chickens were sweet and friendly and came up to talk to us. My daughter was especially pleased about that. 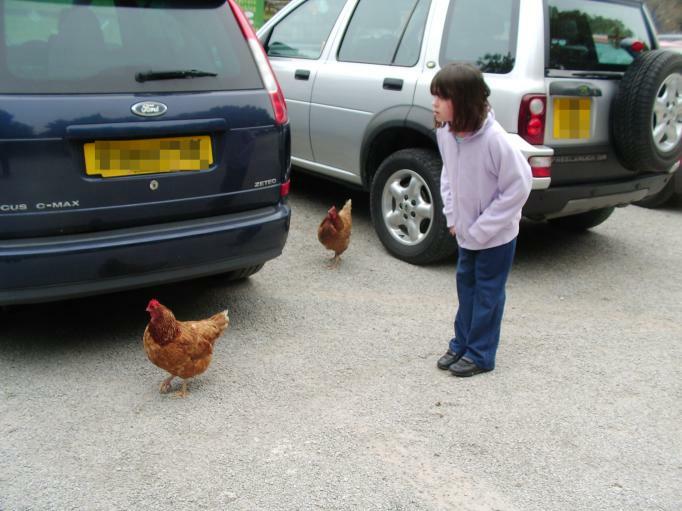 She likes chickens, too. 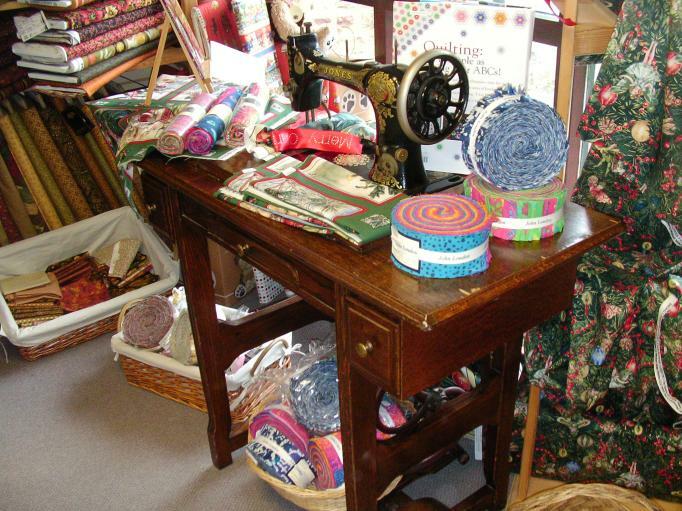 Inside the quilt shop, we found this gorgeous vintage Jones Medium CS treadle sewing machine being used as a display. 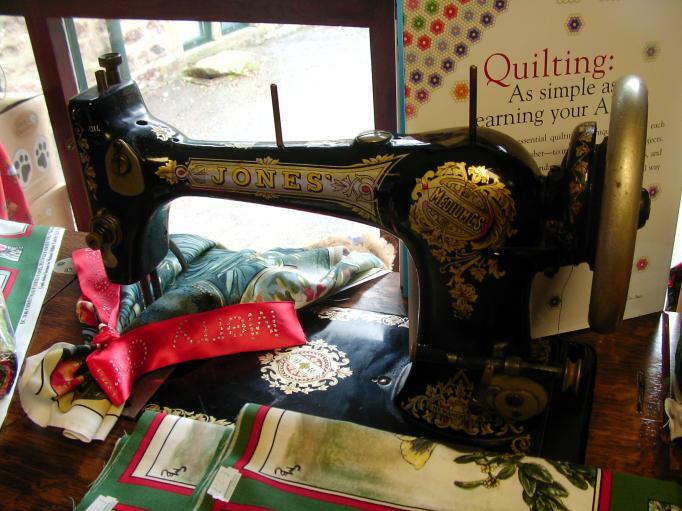 We love vintage sewing machines and like to take photos of the ones we find in public. The lady at the shop gave us permission for these pictures. I’m getting a late start, but I’m going to try to raise my “Total Used” to 100 yards before the end of the year. Chickens can be found in the strangest places – we were in Hawaii last month and there were several of them on the beach! I notice that y’all are wearing jackets…I WISH we could wear jackets out heat is getting to me. I, too, am trying for 100 yards used by December 31.